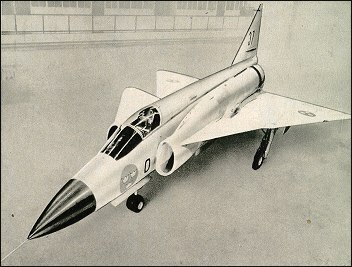 The successor to the Draken, this plane also had an equally unusual layout of a double-delta wing structure. This not only gave it the ability to attain high altitudes, but also manages to take of from not only unprepared air strips, but also country roads. These planes are, hence, easily sheltered in the caves of the hilly regions of Sweden.